For many parents and parents to be, there is an underlying anxiety that accompanies the excitement of preparing for and welcoming a new baby: the challenge of navigating childcare. This is a challenge that is growing in this country as demographics in the workplace shift and change. Across the country, working moms and dads grapple with the challenge of managing their responsibilities as employees and as parents. Increasingly, the cost of care and lack of access to quality is forcing many parents to leave the workforce. Parents are spending more than ever on childcare (32% of working parents spend more than 20% of their income on childcare). 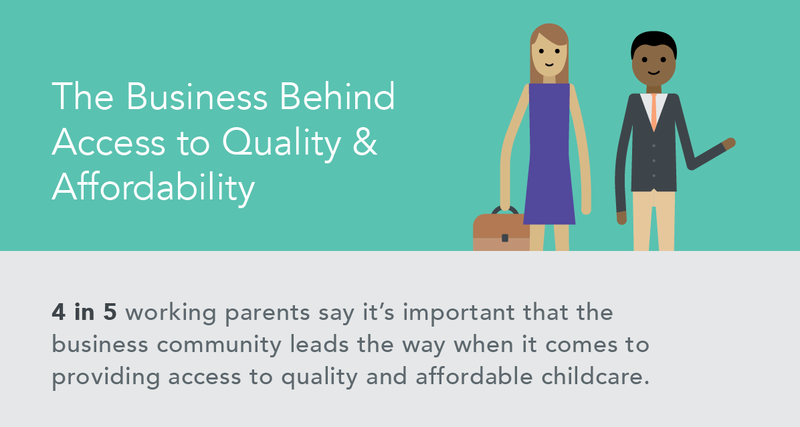 Anecdotally, we also know that childcare options influence parent’s career choices, and that a lack of access to high-quality childcare for their children can negatively impact employee productivity, absenteeism, and turnover. So, who is going to fix this? 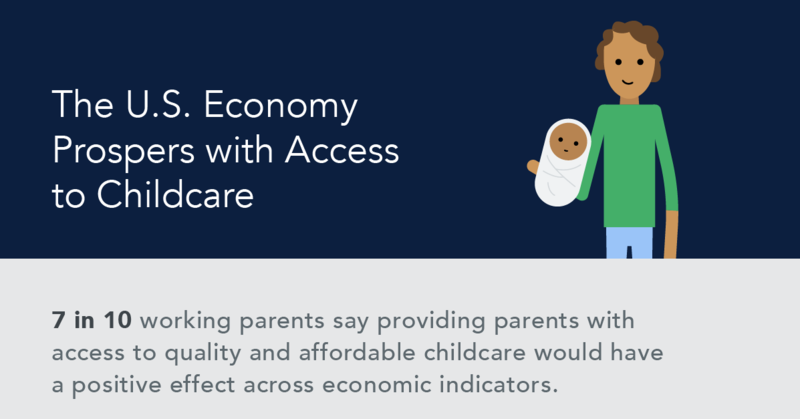 A new survey released this month by the U.S. Chamber of Commerce Foundation and Morning Consult sheds new light on parent's attitudes to childcare and the role for employers in that conversation. These results reinforce the research cited in the Chamber Foundation's toolkit ‘Leading the Way: A Guide to Business Engagement in Early Education’ and the experiences of companies around the country who have begun rethinking how they support their employees. From The Home Depot to Patagonia, Lexmark Inc. to Cliff Bar, companies are beginning to understand that supporting their workforce not just as employees, but also as parents, pays off. As unemployment declines, we need to think about addressing barriers to workforce participation and encouraging more people to return to, or join the labor force. And it’s not just companies who can lead the way, chambers of commerce, business associations, foundations, and advocacy organizations also have a critical role to play. Local businesses (encouraged by the chamber of commerce) are maximizing the impact of the state School Readiness Tax Credits in Natchitoches parish and are using the funds to drive improvements in the quality of childcare in the region. The Louisiana Policy Institute for Children, together with Entergy, are building awareness across the state through their business roundtables and the release of the ‘Losing Ground’ Report. The Louisiana Association of Business and Industry (LABI), together with their partners at Stand for Children and Blue Cross Blue Shield, are uncovering funding to pilot new approaches to improve access and quality in high-demand areas across the state. The Louisiana business community understands that high-quality childcare is critical to addressing the skills gap today, and into the future. And 4 in 5 working parents agree: access to quality and affordable childcare would help close the skills gap by providing the future workforce with the foundation necessary to succeed later in life. 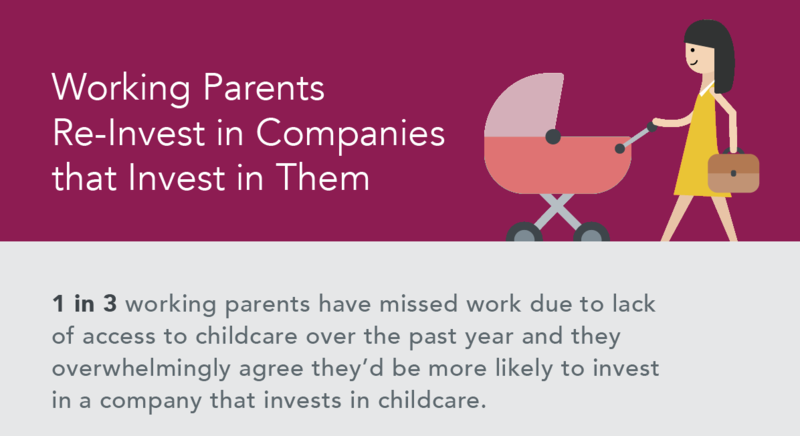 What’s more, working parents re-invest in companies that invest in them. With access to high-quality childcare, working parents today would be more likely to continue their education – upskilling themselves to be more valuable to their employers – and would work more hours – likely being more productive. This is good news for business. The need for childcare isn’t going away – if it isn’t affecting your ability to attract, hire, and retain qualified and productive staff – then it soon will. As more and more millennials become parents and their expectations of the workforce change, companies will have to think of different ways to support their talent. For some ideas on how you can support your workforce contact us or read Leading the Way: A Guide to Business Engagement in Early Education.